As PAL Regional Representative, MYARM will assist athletes and organizers in the URPA certified tournaments organization, athletes certification; it will develop professional armwrestling on the local and international level, cooperate with government institutions and sponsors in international armwrestling projects. 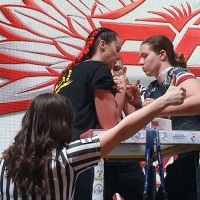 MYARM will also provide international educational activities for athletes, referees and local organizers in order to make Malaysia as an Armwrestling educational hub for the whole world. The sphere of influence of the new-created Southeast Asian Armwrestling Hub with its center in Kuching, Sarawak, Malaysia (Borneo Island) will include such countries as Malaysia, Indonesia, Singapore, Taiwan, Brunei, Australia, New Zealand. It is planned to develop educational programs, as well as sports tourism through inviting foreign professional sportsmen and organizing large international tournaments. Igor Mazurenko, President of PAL and Zil Fadli, President of the Armwrestling Federation of Malaysia (MYARM) signed the relevant documents. Сommunity of 800 referees: is it possible? D1 Team - PAL National Representative in China!